Keanu Marsh-Brown has become the second Fulham teenager to join Dundee United on loan within a week. Finnish striker Lauri Dalla Valle made his debut in Saturday's 3-3 draw with St Johnstone. Now fellow 19-year-old Marsh-Brown has switched to Tannadice until January, although United have an option to extend that until the summer. Like Dalla Valle, the midfielder was recommended to United by Billy McKinlay, Fulham's reserve team coach. United say that Marsh-Brown had attracted interest from Tottenham Hotspur, Manchester City and, more recently, Nottingham Forest. And manager Peter Houston told his club website: "He is a midfielder who can also do us a turn in defence if required. "With his pace and willingness to take on defenders, he gives us yet another option in wide areas and should also excite our fans. "I am thrilled to have added him to our playing squad." Marsh-Brown was attached to Arsenal as a youth before progressing through Fulham's academy. He has yet to make a first-team appearance for the Premier League club but made his senior debut when spending the latter half of last season on loan to MK Dons. 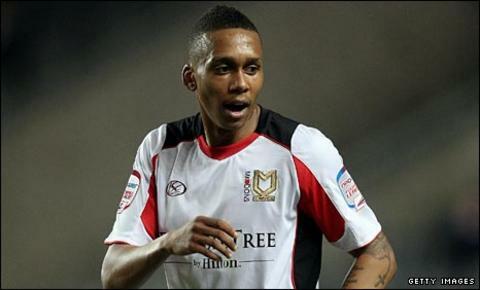 Marsh-Brown, who is a former England youth international, played 19 times and scored twice for the League One outfit.